However universities are helping push the industry forward. Occupiers, governments and property developers are what’s holding cities back from becoming ‘smart’, research has claimed. This is according to a new report by Osborne Clarke which found that a third of technology experts agreed with this conclusion. On the other hand, tech giants and tech start-ups are seen as the main drivers behind smart cities. Universities are seen as important groups, too, with four in ten saying their knowledge means a lot. 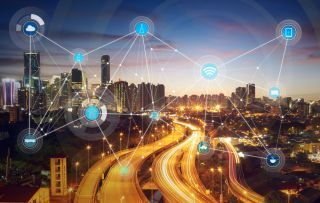 Bristol is being cited as a good example, with the city winning the GSMA’s Smart City Award as the result of a collaboration between the University of Bristol and Bristol City Council. Commenting on the findings, Conrad Davies, Head of Real Estate and Infrastructure at Osborne Clarke said, “Bristol is a prime example of how the public sector can work alongside tech start-ups and universities to create smart cities that are going to make real impact in the future. The city is truly leading in the way in it uses technology to transform the way we live, work and study in cities. Respondents believe tech experts should lead the way when it comes to organising smart environments. There’s also strong sentiment that tech giants will become ‘significant landlords’ in the future.